It was a bit strange watching the AW19 shows from afar - especially in Australia, in the middle of a heatwave, wearing the lightest, loosest pieces possible. But then, Autumn/Winter styling is probably my favourite kind - the layers, the jumpers, the coats, the boots - so I was more than happy to catch up on all the shows online and to start sparking style inspiration for next season. 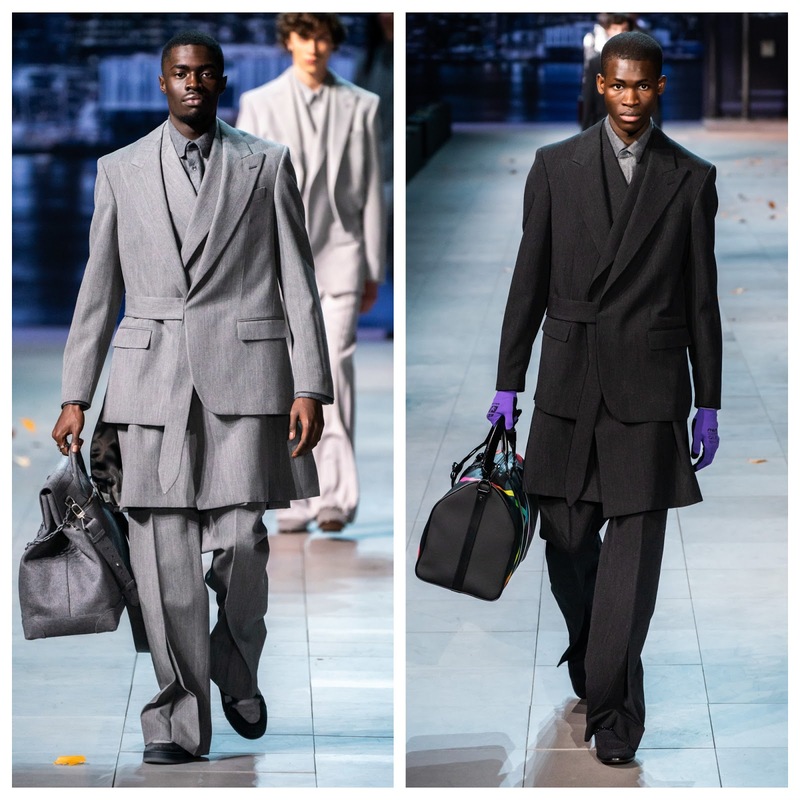 There was a lot going on this time around and it can sometimes be hard to cut through all of the noise - but these are my highlights from the AW19 menswear shows. AMI is a collection I look forward to every season - especially since Alexandre Mattiussi introduced womenswear in his AW18 collection. Refreshingly, AMI has a 'menswear for women' approach - taking the French brand's signature shapes and silhouettes and sizing them down for women so we can still access those incredible loose-fitting trousers it does so well, as well as the oversized coats and well-cut cashmere that should have a place in every good wardrobe. It's a brand that, for me, gets better each season - and judging by the comments that slid into my DMs after featuring a few looks on my Stories, it seems fans of AMI agree. 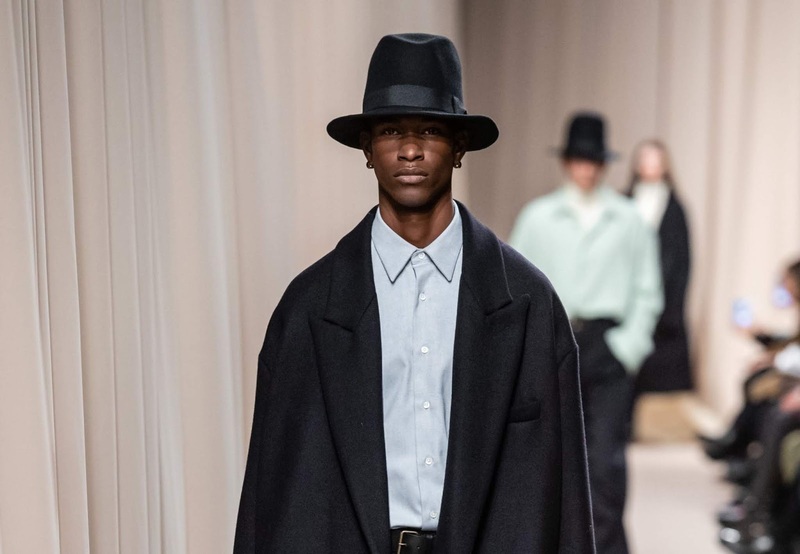 For AW19, it felt like things were turned up a notch, without straying from that signature laid-back Parisian aesthetic. 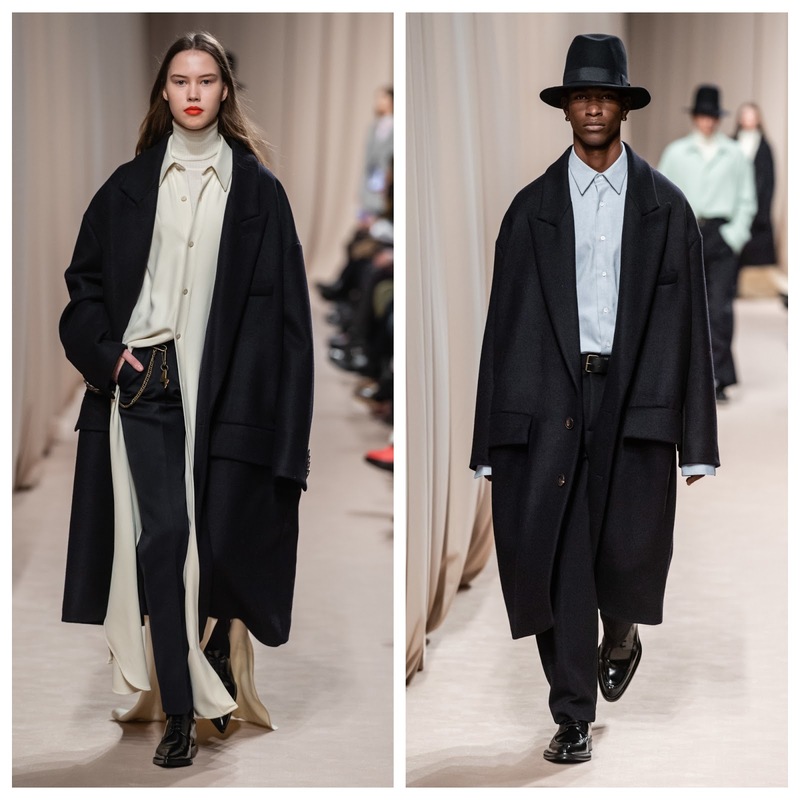 It was the loose tailored pieces that stood out for me this season: the low-slung trousers, the oversized shirts with slightly-too-long sleeves worn on top of a turtleneck, the big coats with dropped shoulders, and the flat patent boots that can be worn with anything and everything. Sharp suiting, single-breasted coats, shirts and ties...Dries Van Noten AW19 is a collection for the modern gent. '80s blazers with power shoulders were given a 21st century update with looser, unstructured fits and worn with wide leg trousers. Other trousers came loose and cropped - or slimmer and ankle-skimming and the coat game was varied and strong - jackets were belted, macs were long and simple and there was a subtle injection of quilting that complemented (rather than overwhelmed, as it so often does) the looks. Dries Van Noten showed us bum bags are going nowhere fast either. This season they're smaller, slightly smarter and a refreshing alternative to the bulky streetwear favourite. It's no secret that Jacquemus does great womenswear: the French brand creates the kind of pieces I long to fill my summer wardrobe with. 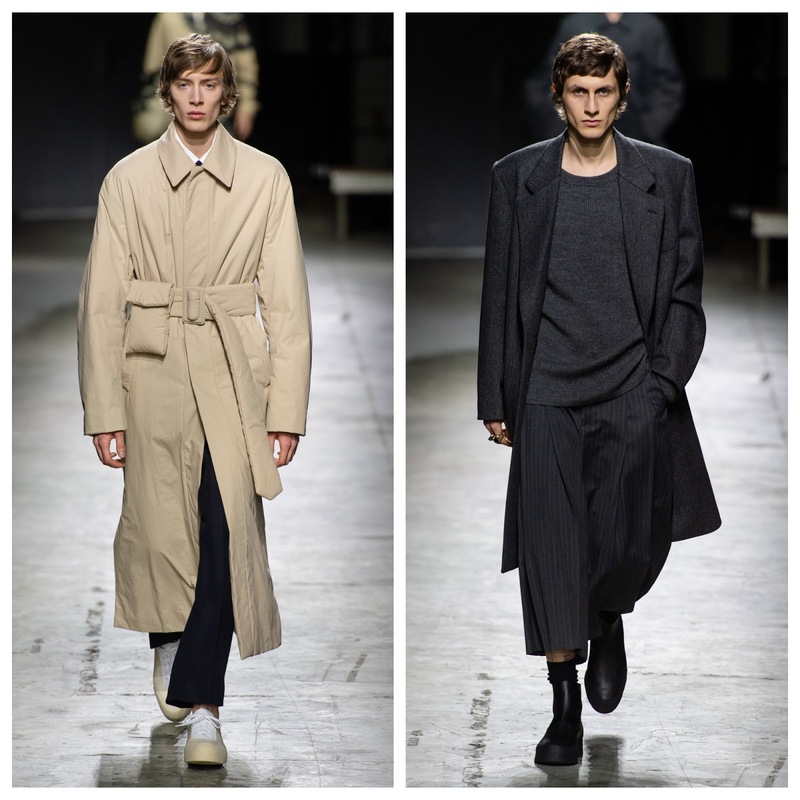 And just two seasons in, its menswear offering is gaining ground too. As with a lot of his collections, Simon Porte Jacquemus looked to his South of France upbringing to inspire his AW19 pieces - specifically rural Montpellier and the traditional French workwear of the region. I'm a huge fan of French workwear. Boxy shapes, sturdy durable fabrics - what's not to love? 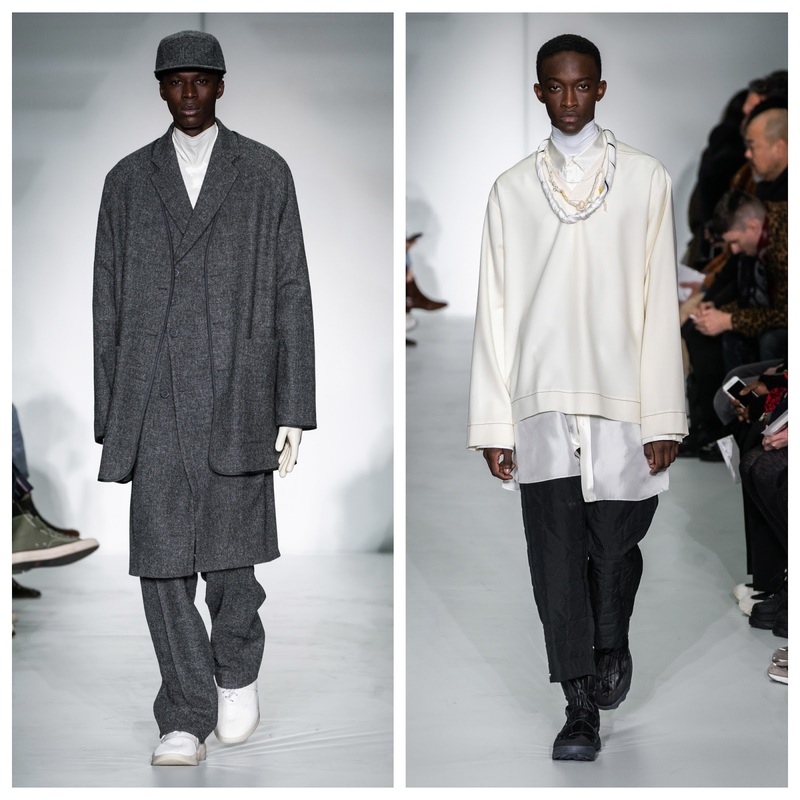 Jacquemus' offering of utilitarian large overshirts, loose-fitting trousers and bulky knitwear was one that I can see genuinely working In Real Life, especially given it came in land-echoing neutral tones of rust, off-white, browns and blues. I don't normally pay much attention to the Louis Vuitton shows. As much as I admire the brand for the incredible commercial success its had, the style has never really been me, so I tend to overlook it on social media and any online coverage. But with Virgil Abloh at the helm and the amount of column inches his name brings with it, it was impossible to ignore this time around. But aside from hype, this is one Louis Vuitton collection I actually stopped to look at - for the pieces themselves. The opening colour palette of light grey spoke to me (obviously) as did the layered jackets and smartly-cut suit trousers. There were a few elements that weren't for me (namely the American flag-printed pieces) but I appreciate Abloh's take on this long-standing brand (and the fact he didn't go down the streetwear route everyone thought he would). At OAMC, Luke Meier gave us AW19's take on grunge - and it's one I'm completely on board with. Rather than a half-hearted rehash of Kurt Cobain's wardrobe, this interpretation of grunge was a subtle one, mixing tailoring and streetwear elements to create looks that steer clear of fancy dress. There was a lot of layering, which I love: wool waist length jackets worn over longer coats and matching trousers (see Louis Vuitton above, but more relaxed); turtlenecks worn under loose shirts and quilted jackets; and, of course, the iconic t-shirt over long sleeved shirt look. It's also a collection you can easily emulate with existing pieces in your wardrobe, playing with layers of different lengths - keeping them within the same colour palette as Meier has done here so it's more fashion, less I just raided a charity shop and am wearing everything in sight. 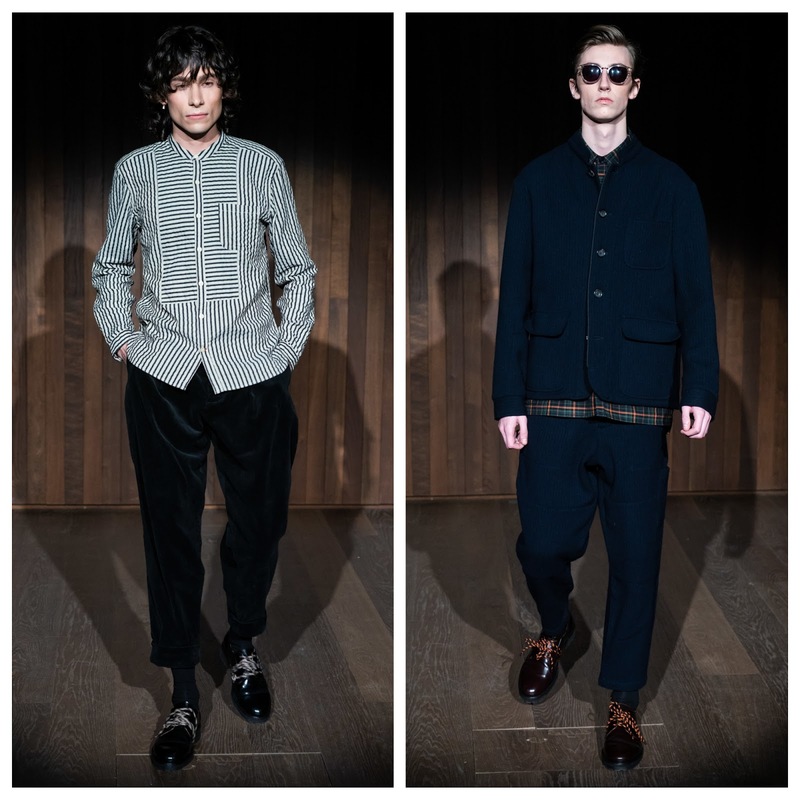 It may be because I witnessed it from afar, rather than attending it like I used to, but London Fashion Week Men's seemed a lot quieter this year. The schedule was smaller, a lot of my old favourites (Nigel Cabourn, YMC) weren't on the bill and it seemed very...subdued, especially compared to Paris, in particular. But then Oliver Spencer came along, flying the flag for British fashion with his AW19 collection. The usual suspects were there: the velvet bomber jackets with matching trousers, the collar-less button-down jackets, the chunky roll neck jumpers. It's no bad thing - these are all pieces Spencer does exceptionally well, tweaking his collections slightly each season to prevent them from being stale or boring.